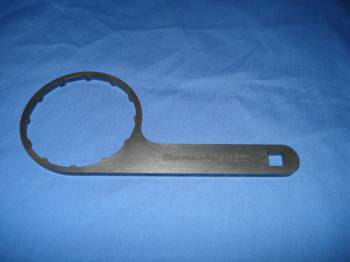 Oil Filter Wrench designed and build for the BMW Motorrad oil filters. Every wench is laser cut from 3/16� steel plate for strength with an extremely narrow profile in order to slip into the tight spaces BMW provides. 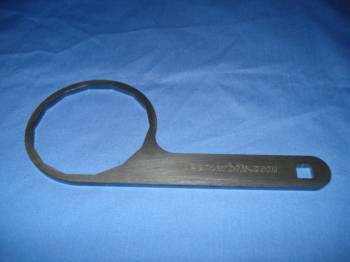 Each wrench is also been equipped with a 3/8� opening for a ratchet, breaker bar or torque wrench. Don't struggle with tools not made for the job. For only 19.50 have the right tool. Wrench will be shipped USPS Priority Mail for 5.00, disregard automatic freight calculations.